Southampton has one of the largest and most successful Mathematical Sciences programmes in the UK. The interests of our research staff span pure and applied mathematics, statistics and operational research, which allows us to offer one of the widest portfolio of study topics available. The diversity of research interests in Mathematics is reflected in the broad range of undergraduate Honours Degree programmes that we offer; from vocationally related degrees, such as Mathematics with Actuarial Studies and Mathematics with Computer Science, to Single Honours Mathematics and Master of Mathematics. All our undergraduate degree programmes are built around a flexible unit structure, enabling students scope to follow their own interests and career aspirations, including, for example, a year of study abroad. The department uses a wide variety of modern learning and teaching methods involving small group tutorial work and computer-based learning that builds on what is taught in lectures. Mathematics Sciences has a long-standing high reputation for the quality and innovation of its teaching, as reflected by its extremely high post-graduation employment rates, surveyed nationally. Our graduates have gone on to forge exciting careers from actuaries to aircraft design. The Graduate School in Mathematical Sciences offers five MSc courses in Statistics, Medical Statistics, Operational Research and Actuarial Studies, and programmes of research and training leading to the degree of PhD. These degree programmes are supported by the Engineering and Physical Sciences Research Council, the Medical Research Council and by company sponsorship. As well as an induction programme for new research students, designed to integrate you into the research and social life of the school, we run an extensive training programme designed to equip you with advanced techniques at the forefront of research. All four of our research groups are rated as internationally excellent in the UK Research Assessment Exercise. The research environment is enhanced by our collaborative interdisciplinary approach and our diverse seminar and visitor programmes. 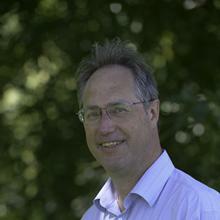 Professor James Vickers is a Professor of Mathematics at the University of Southampton. Southampton is a leading UK research university with outstanding facilities, exceptional teaching, great accommodation and excellent sport and social amenities.